Guests must be over 18 years old ID required. 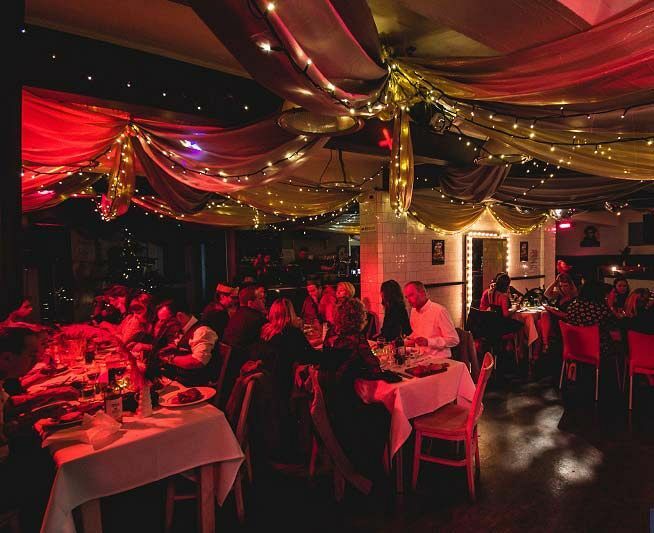 This Christmas in Brighton, make your festive celebration unforgettable at this excellent venue located on the city's iconic seafront and discover all the mystery and intrigue of this 1920’s Christmas prohibition themed party. With a capacity to accommodate up to 240 guests, this space will be transformed into a forbidden speakeasy, where you’ll be able to transport yourselves away from the workplace and back in time where you’ll experience all the glamour and razzle dazzle of this much-loved period. On arrival, guests will receive a warm welcome from the attentive staff and handed a delicious glass of Prosecco to get the event kick-started in style. Experience the talents of the fabulous performer as you sip your welcome drink and enjoy a selection of jazzed up festive songs to mark the start of the evening. Enjoy either a three-course Christmas dinner from the mouth-watering festive menu or perhaps you’d prefer to delve in and help yourselves to a sumptuous buffet? A half-bottle of red or white wine will be included with dinner or alternatively, two drink tokens can be provided for each guest to exchange at the bar. Choose from a variety of beers, ciders, wines, spirits and soft drinks. Some top entertainment will also be included during the evening; look forward to a dazzling performance from a burlesque dancer, before partying the night away with the venue’s resident DJ who will be bringing you all the latest and greatest tunes. There are no minimum numbers required to hold an exclusive party, however a minimum spend will apply. 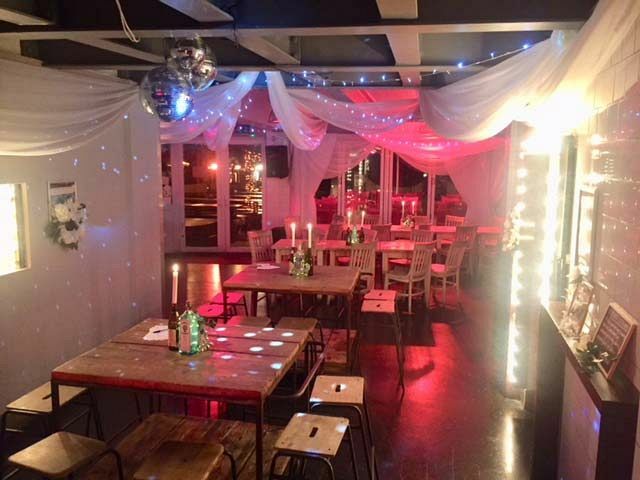 The venue are also offering hire of the venue for bespoke parties, where guests are invited to arrange their own entertainment and tailor the evening exactly how they want. The buffet package costs just £29.13 per person excluding VAT, whilst the three-course dining option is priced at just £37.46 per person excluding VAT. Let the excellent team at this top Brighton venue make your Christmas celebration one to remember this year - book your exclusive 1920’s Prohibition themed night today! Sussex mature cheddar, creamy Brie and Sussex Stilton served with homemade apple, red pepper & cumin chutney, wheat grain biscuits and a celery & grape garnish.